vVIRTUALtarget is a software that is used to generate virtual ECUs for all typical AUTOSAR projects. It supports function and software developers, software integrators and test engineers throughout the entire ECU development process. With vVIRTUALtarget, you develop and test functional software unchanged in combination with a behavioral model or with virtualized, complete AUTOSAR basic software. It enables detailed analyses by allowing you to influence the entire simulation environment in a range of different ways. The Vector product manager of vVIRTUALtarget presents AUTOSAR experts the advantages and application areas of his product (50 sec.). 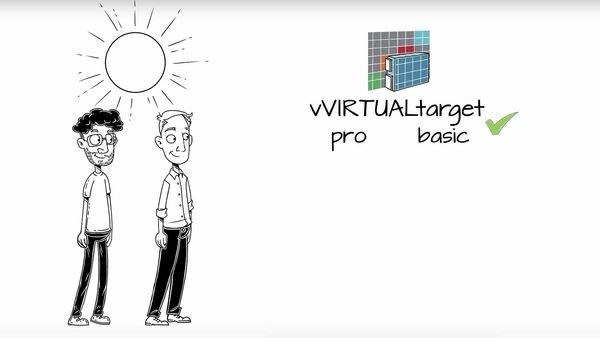 Senior Product Manager Roman Marktl introduces his product vVIRTUALtarget. You can start verifying your results with vVIRTUALtarget as early as the software component (SWC) design and development phases. The vVIRTUALtarget pro variant allows you to automate the connection of one or more SWCs to a runtime environment via your AUTOSAR interfaces. In this case, vVIRTUALtarget pro emulates the typical behavior of the AUTOSAR basic software so that you do not need to worry about configuring basic services – as in the case of ECU configuration – or about the implementation of these services – as in the case of a unit test. On the one hand, the tool delivers an automatically generated proposal for the typical management layer services while, on the other, also allowing you to determine these yourself. Thanks to this flexible approach, you can concentrate fully on the task of test implementation itself, which means, simulating the inputs to your software and observing the reactions at the outputs. The next step is to test the entire ECU configuration as visualized in vVIRTUALtarget basic. This is done using an original target ECU configuration – again created using the designated tools from the Vector DaVinci tool suite – in order to obtain the greatest possible level of fidelity to detail. There is no need for any reconfiguration or new configuration work. The result is a binary file that you can use in your PC runtime environment, for example CANoe. In the same way as with physical EUCs, your test interfaces are network messages and I/Os. The created virtual ECUs can be used in the cluster as well as with physical ECUs in order to test the entire system.